This was going to be the first time I was going to IVY even though they have been in business for a few years. IVY is part of the family of Dewey Beach Life. These are: Rusty Rudder, Bottle & Cork, Jimmy’s Grille Dewey, Northbeach, Outlet Liquors, and Dewey Beach Liquors. 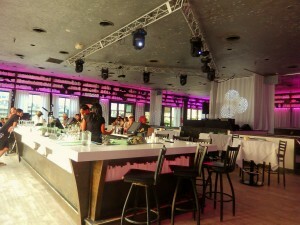 Both IVY and Northbeach are wedding venues, as well. More info? 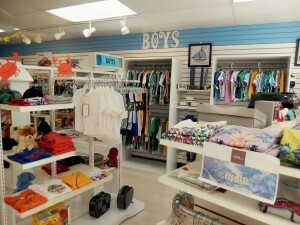 Please visit http://www.deweybeachlife.com. 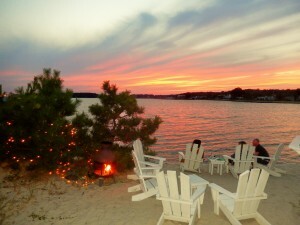 IVY is located at Dagsworthy St. & The Bay in the heart of Dewey Beach. Tel. 302-227-9292. 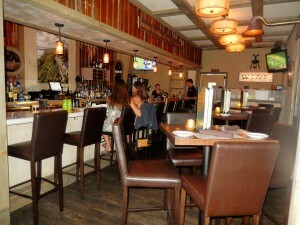 The Manager is Brooke Sterling and the Executive Chef is Aileen Delario. Reservations are accepted and there is parking, as well. So far so good, right? To tell you the truth, I had forgotten what a fantastic view of the Bay this restaurant has. We arrived for a 7:30 p.m. reservation. There would be 6 of us for dinner. The views from the inside are towards the Bay. The bar is indoors and there are plenty of tables and seating available. Later in the evening the music and dancing would begin. 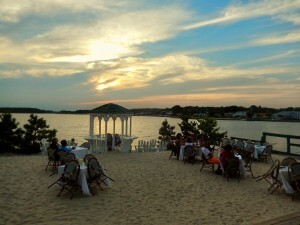 Al fresco dining with friends…there was talk, laughter and merriment. And of course, photo opportunities as the sun started to set. Does food relly have more flavor when eating it in the open air? Oh, I definitely think so. 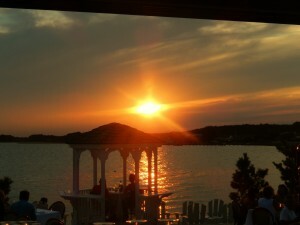 At IVY the setting is beautiful and the sunsets are spectacular. All you have to do is take a seat, then take a sip of a luxurious cocktail, and finally take a taste of their unique offerings. 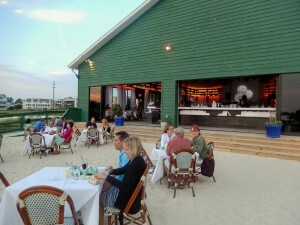 If you decide to eat al fresco remember that you will be on their beach, so wear your comfortable shoes or sandals. The menu was divided into Little Bites, Cool and Leafy, Big Bites….And then…dessert. The Little Bites are great for trying different things tapas style. Our table ordered a little bit of eveything. 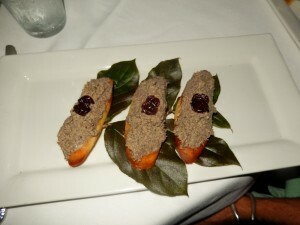 The Portabella Pate with truffles, cherry, and ginger. 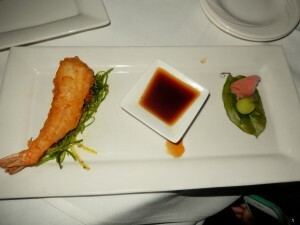 The Godzilla Shrimp…colossal tempura’d shrimp with seaweed, wasabi and ginger. 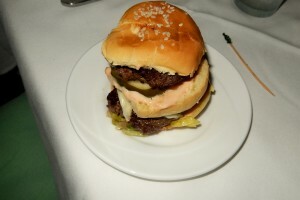 The Hamburger Slider….even though it was a slider it was a generous portion. 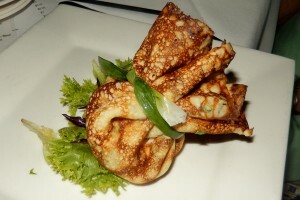 The Herb Crepe was presented beautifully. It had crab and shrimp and lemon aioli. This was a cold dish. My fellow diners that ordered it liked it but would have preferred it warm. Just a suggestion. 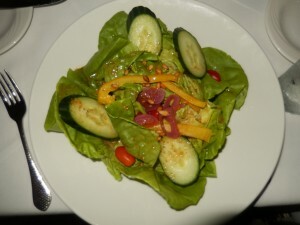 From the Cool and Leafy, a Bib Lettuce Salad with bell, tomato, pickled red onion, pine nuts with an Old Bay vinaigrette. It was light and it was also large enough for sharing. Big Bites…these were traditional size entrees. 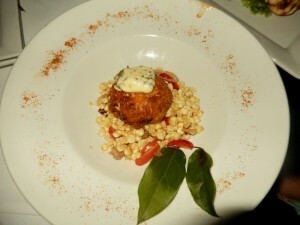 Crab Cake…Jumbo lump, fresh lemon herb tarter, corn and tomato saute. 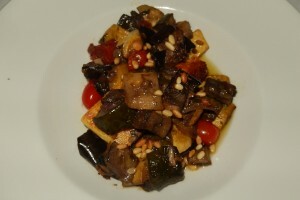 Ratatouille…for those vegetarian ones and perfect at this time of the year with so many veggies available….tomato, squash, eggplant, zucchini, thyme and chevre polenta. 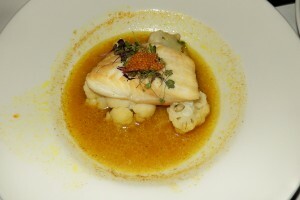 The Halibut with cauliflower, Madras broth, coconut lime, and microgreens. Very light and mild. 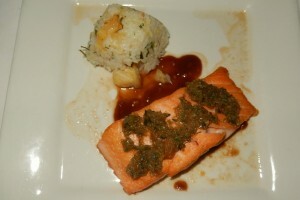 The Scottish Salmon had a spicy jamaican jerk, tamarind glaze over rum flamed pilaf. Loved it!! No dessert was ordered because we were perfectly satisfied…another time. Talk to you later…and in the meantime enjoy the sunset!! Destination? 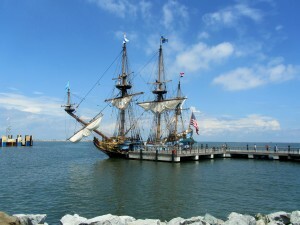 Lewes, Delaware, What’s Going On?, Activities, Events, Delaware Beaches, Southern Delaware, Summer 2015!! 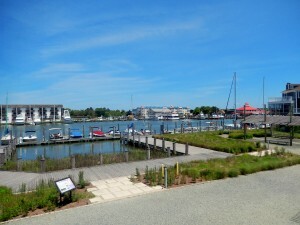 In 2006, the city of Lewes was selected by the National Trust for Historic Preservation as one of America’s “Dozen Distinctive Destinations”, and was named a “Preserve America Community”. Founded in 1631, by the Dutch, Lewes is Delaware’s oldest settlement, earning it the nickname of “The First Town in The First State”. 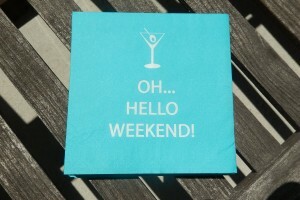 So, What’s Going on this week-end? Saturday, 8/29 – Brews by The Bay 2015…This is the second year for this event. Experience the only Bi-State Beer Festival in the Country. Live music, 20+ breweries, local food, and yard games on each side. Taste the best new craft beers from both Delaware and New Jersey. Where? 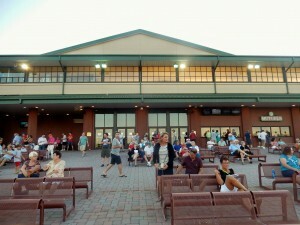 The Cape May Terminal from 11:30 a.m. until 3:30 p.m. and the Lewes Terminal from 4 p.m. until 8 p.m. Better yet, buy a discounted combo ticket and take the ferry to both fests and decide which state has the best new brew for you. 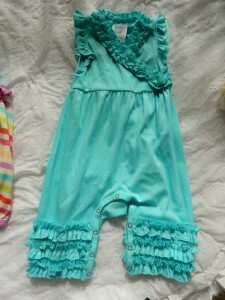 Prices: $48.25 for NJ only and Delaware only. $74.50 for both Plus a roundtrip ferry ride!! Special reduced rates for designated drivers. Please note that no alcohol or samples can be carried on the ferry. Beverages are available for sale on the ferry. More info? 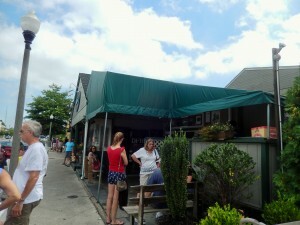 Please visit http://www.capemaylewesferry.com. 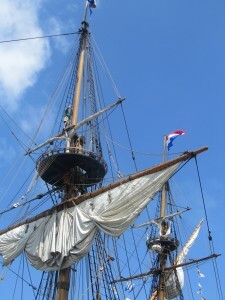 Saturday, 8/29 – Free Deck Tour of the Kalmar Nyckel. Join the crew. Kids can ring the ship’s bell. 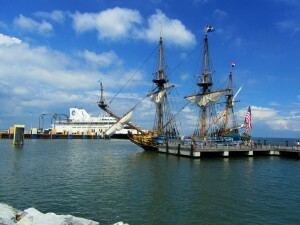 Please call 302-645-2791 or visit http://www.kalmarnyckel.org. Comments Off on Destination? 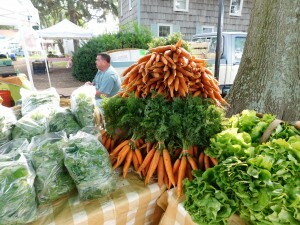 Lewes, Delaware, What’s Going On?, Activities, Events, Delaware Beaches, Southern Delaware, Summer 2015!! Destination? 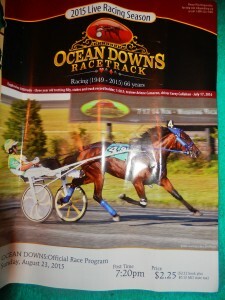 Ocean Downs Racetrack, Casino at Ocean Downs, 2015 Live Racing Season, Ocean City, Maryland…And They’re Off!! Casino at Ocean Downs has 800 slot machines and electronic table games, like Crabs, Blackjack, Roulette and Poker. 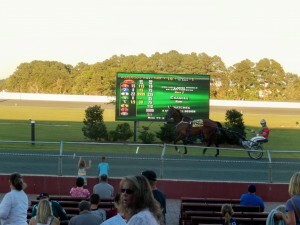 For more information please visit http://www.oceandowns.com. At the game tables you will play against a virtual croupier. You have to be 21 years old and please play responsibly. A Trotter or a Pacer? The Trotter moves a right leg and a left leg forward at the same time; his right front and left rear, then his left front and right rear. The Pacer moves both legs on the same side of his body forward at the same time. Running horses gallop, moving both front legs forward and then both rear legs forward. At the racetrack children are allowed to come in if accompanied by an adult. You must be 18 or older to place a wager (bet). Four wagers are available: Win, Place, Show Exacta, and Big Triple. When you wager (bet), you are not betting against the track, but against everyone who is making that type of wager in that race. 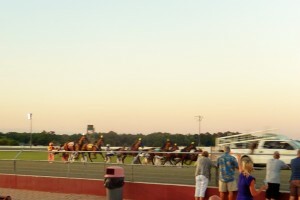 Post time is 7:20 p.m.
All of us won some money on that beautiful evening. We laughed…we were there to have fun. First I started picking the horses traditionally….by their starts. Then, I said the heck with this, it is going to be by the names. Their names were just too good to pass. Here are some of the names: What I say Goes, Girlfriend Bash, Givetheladyabeer, Fashion Villager, Gimmesomeroom, Feelingmightygood, A Wild Impulse, Big Is Better, Howsaboutakiss, Shessoserene, Well Maid. There were 11 races on Sunday evening. You can watch these races every Sunday, Monday, Thursday and Friday through September 4th. 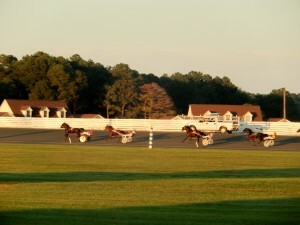 Please visit the website http://www.oceandowns.com/racing.php for other events going on. On August 27th The Clydesdale Horses will appear. Certainly a lot of fun with great friends…priceless!! 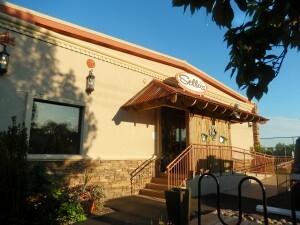 Sello’s does not accept reservations, but you may call ahead of time to tell them you are coming. 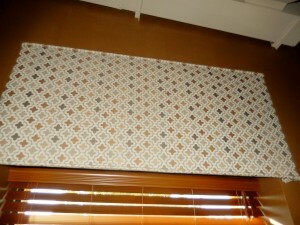 The restaurant’s decor and logo is based on the following fabric. I have no idea why, but all I can tell you is that the pants I was wearing had a similar pattern. 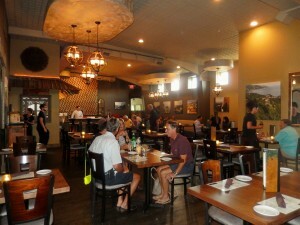 The restaurant is comfortable and the staff is friendly and knowledgeable. 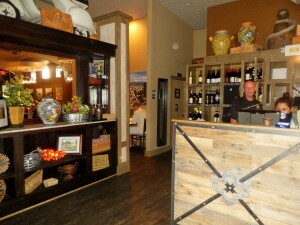 Throughout the restaurant you will see photographs taken by the owners in Italy. 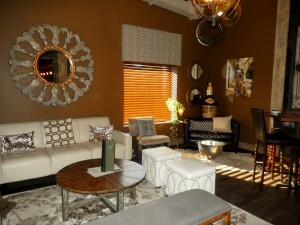 The bar is cozy, another very welcoming area to wait or just enjoy a few drinks. 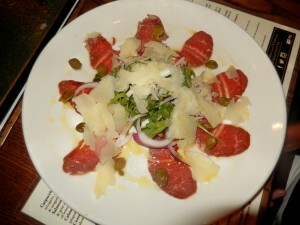 Carpaccio di Manzo…Thinly sliced tenderloin of beef garnished with capers, chopped onions, shaved parmigiano reggiano cheese and arugula. 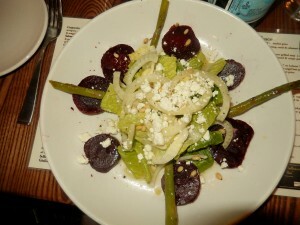 Barbabietola e Finocchio…Roasted Beets & Fennel with black olives, grilled asparagus, gorgonzola cheese in a citrus vinaigrette. Love beets and these were delish. 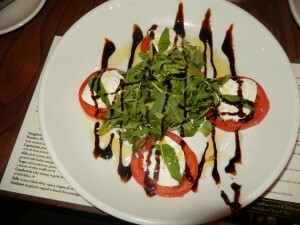 Pomodoro Caprese…Nothing like fresh tomatoes this time of the year with fresh mozzarella, as well…Fresh Burata Mozzarella, fresh tomatoes, and basil with a touch of EVO and balsamic vinegar. Catching up with friends is also a plus, but when you get together with this O.C. crowd I think laughter gets contagious. Time for Dinner, Shall We? 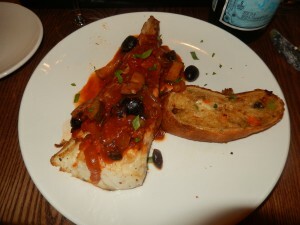 Two of us ordered the Catch of The Day….Grouper, olives, sauce so perfectly seasoned. 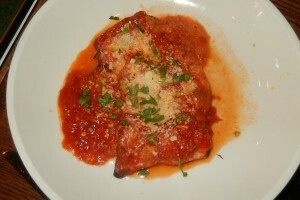 As a side dish eggplant stuffed with risotto. 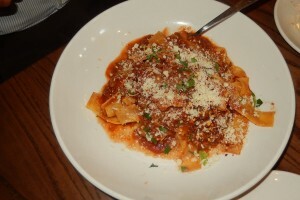 A Pasta Bolognese…please note the pastas are made in-house. Involtini di Melanzane…Thinly sliced grilled eggplant rolled and stuffed with angel hair pasta with Marinara sauce and fresh parmigiano reggiano. 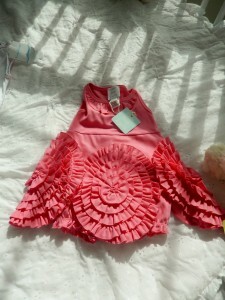 This is Kathlene’s favorite and once again she decided to order it. 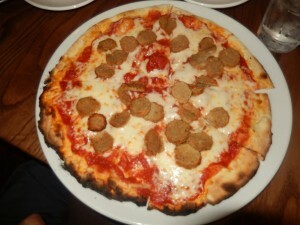 Ross’s Pizza….It was a personal pizza but it was quite large. Perfectly cooked…thin and crispy. No dessert was necessary; we were totally satisfied…plus we needed to take off for Ocean Downs Racetrack and Casino where we were hoping to make some money, and enjoy more laughter and good times as Summer 2015 is coming to an end. 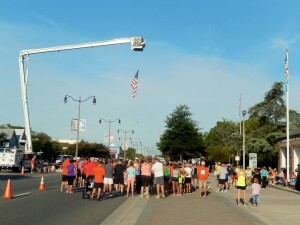 The perfect summer day….Temperatures in the 70s, low humidity, blue skies and a morning to race or walk. 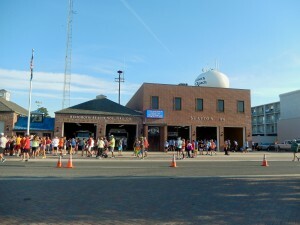 The Inaugural RBVFC Fire Fightin’ 5k Run/Walk was early this morning as many as 300 plus participants were getting ready to walk or run in order to raise funds for the Rehoboth Beach Fire Department – Station 86 Capital Campaign Building Fund. More info? 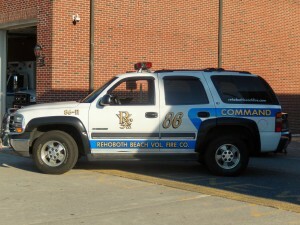 Please visit http://www.rehobothbeachfire.com. 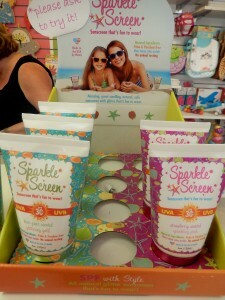 This event was produced by Seashore Strider Event Production, Inc. Please visit their website for upcoming events. 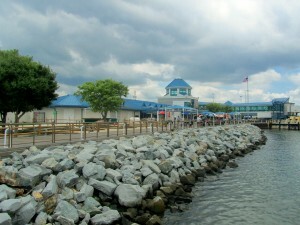 http://www.seashorestriders.com. 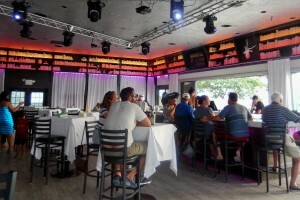 Refreshments and Post Race Party and awards took place at Lula Brazil at 234 Rehoboth Avenue. 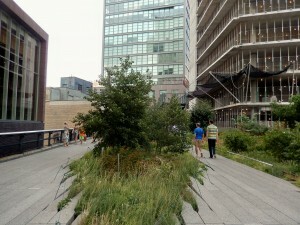 24 Hours, New York City, The High Line, City Park, Friends of the High Line, Walk it, Jog It, Love It!! Walking the High Line meant that my friend, Cindi, and I would be walking all those “indispensables” New York City has to offer…from Str-eat food to fine dining, and a few cocktails along the way. 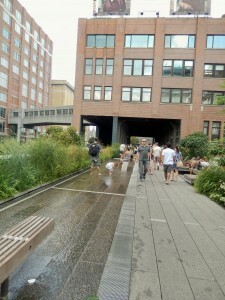 The High Line is a New York City Park, maintained and supported by the Friends of the High Line, http://www.thehighline.org. 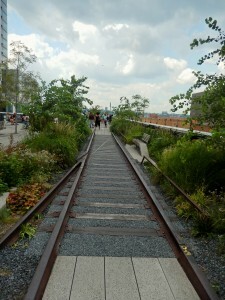 In 1934 as part of the West Side Improvement Project, the High Line opened to trains. It was designed to go through the center of blocks, rather than over the avenue, carrying goods to and from Manhattan’s largest industrial district. 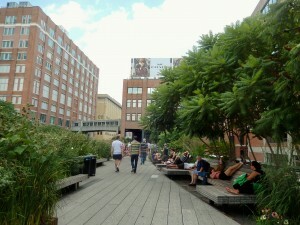 In 2002-2003 the High Line’s preservation and re-use began. 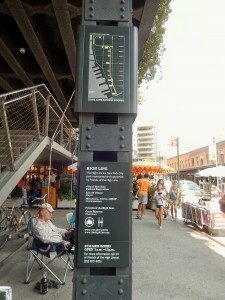 In 2005-2006, the City accepted ownership of the High Line which was donated by CSX. The groundbreaking was celebrated in April, 2006. 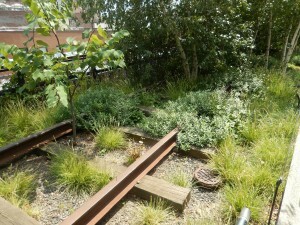 On September 21, 2014 the third and northernmost section of the park, the High Line at the Rail Yards, opened to the public, with a celebration for a successful 15 years of advocacy to preserve the entire structure. 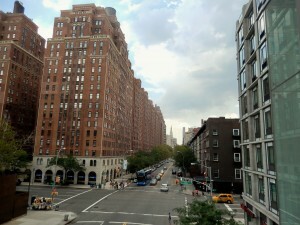 For more info., please visit http://www.thehighline.org/visit/#/access. 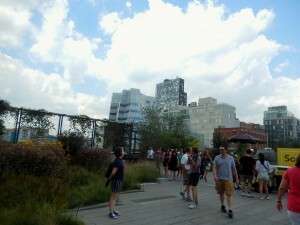 The High Line is open from 7 a.m. until 11 p.m. There are public tours on Tuesday and Saturday from May through September. Tuesday at 6:30 p.m. and Saturday at 10 a.m. The location? Gansevoort St. entrance, on the High Line at Gansevoort St. More info? Please call 212-500-6035. Along the way you will see the Hudson on one side and the City on the other. While visiting check the landscaping, and the railroad ties that are still seen and have been preserved on purpose throughout the walk. It was a little hot last Sunday but you can take your shoes off and cool off. You can’t miss it. Portraying Albert Einstein’s literal words. 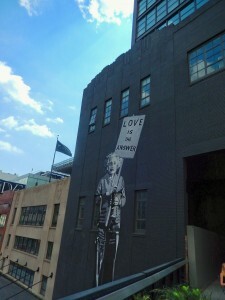 The street art is by Bansky, known for his social and political art commentaries that pop up around NYC. 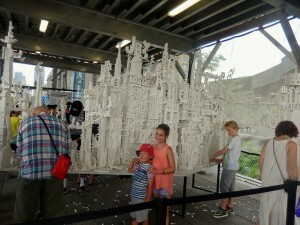 Come Build With Us…The Collectivity Project will be at the High Line until September 30th from 10 a.m. until 7 p.m. This is an installation of 2 tons of white LEGO bricks that features an imaginary cityscape conceived and designed by the public. Visitors are welcomed to play with the installation, building and rebuilding the structures over time. More info? 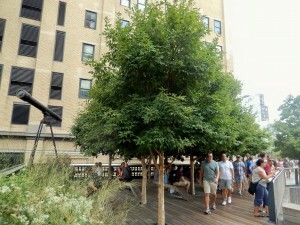 Please visit http://www.art.thehighline.org. So, if you are visiting the Big Apple, this is a must do activity!! 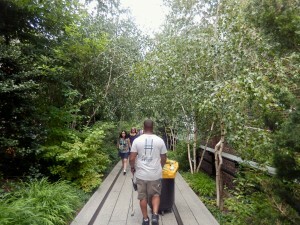 Comments Off on 24 Hours, New York City, The High Line, City Park, Friends of the High Line, Walk it, Jog It, Love It!! 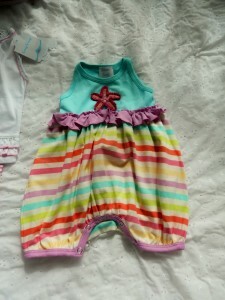 Now that a lot of my friends are having grandchildren, including myself….this post is for you. 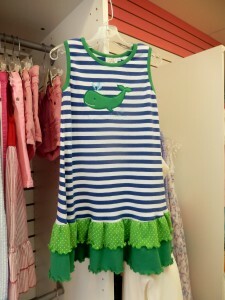 Your little ones deserve the best and you will find it at Lilypad Children’s Boutique located at Village-By-The-Sea Shops at 149 Rehoboth Avenue. Tel. 302-227-4464. 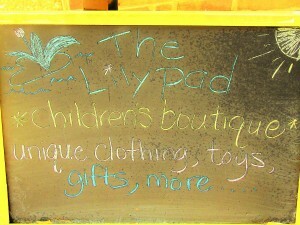 You can find them on Facebook as The Lilypad Children’s Boutique. 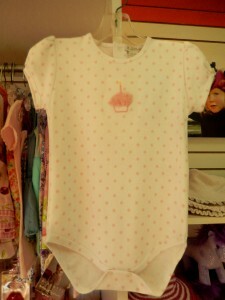 Lilypad has clothing, accessories, swim suits, and toys from babies to young children. 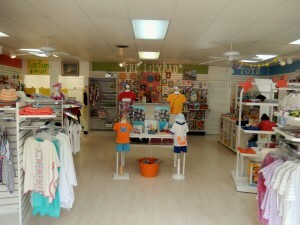 Gayle and Paige, mother and daughter, are the owners of the cutest children’s boutique in Southern Delaware. 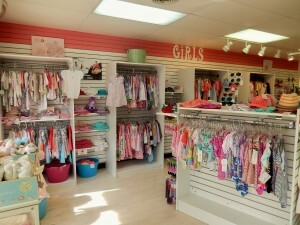 Gayle and Paige are very friendly and will help you find the best outfits for your little ones. 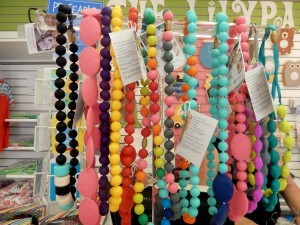 So many accessories….loved the Chew Beads. 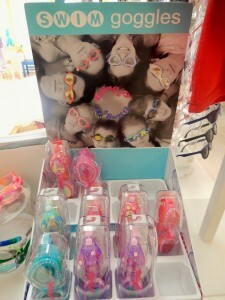 They are the perfect accessory for Mom…let those babies chew on them with no problem. Very safe. I loved them so much I bought some for myself, as well. 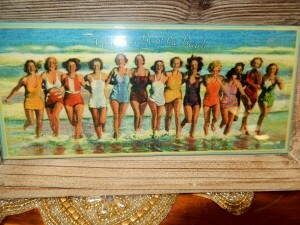 Great summer necklace! 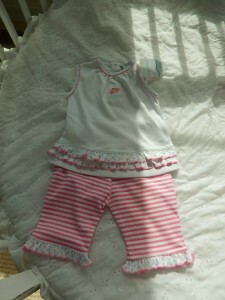 For my granddaughter Sophia I got the cutest clothes. 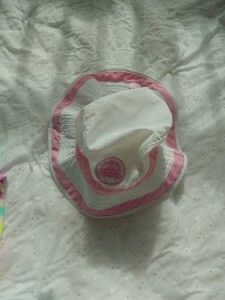 Can’t wait to see her wear them. “Summer is kind of like the ultimate One Night Stand: Hot as Hell, Totally Thrilling, and Gone Before You Know It….Yes, Summer 2015 is flying by. 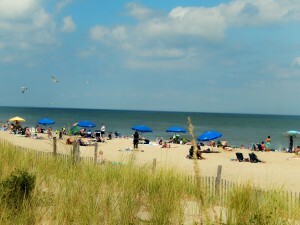 Rehoboth Beach will continue just as busy in the Second Season, so make plans to come back to the Beach. The day started with rain, then sun, then rain again, but the beach was crowded. 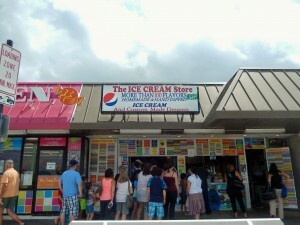 Spending a few hours in town with my friend, Jody, we noticed that The Ice Cream Store, located at 6 Rehoboth Avenue had a line. It always does. Flavors like Bacon, Beer Ice Cream. Blood Orange Mango, Dirt, Motor Oil, and Booger!! Check the other flavors by visiting http://www.rehobothbeachicecreamstore.com/flavors.htm. 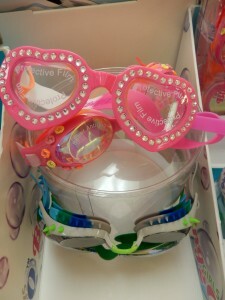 They have over 100 flavors and you can customize your cone and cup. 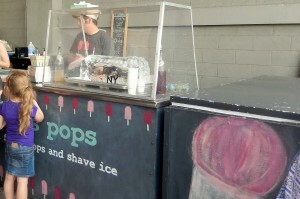 They also give samples, which is great to make sure those crazy flavors are what you are looking for. Pretty much endless possibilities. And, I have not tried them. Ice cream is my weakness and don’t want to start anything I might not be able to stop. Lol. 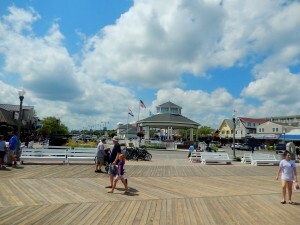 The Rehoboth Beach Bandstand and The Boardwalk are the meeting places in Rehoboth Beach. 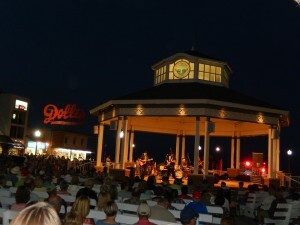 Free Summer Concerts take place on Friday, Saturday, and Sunday. 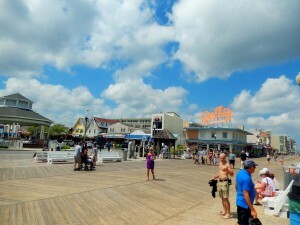 During the day it is quiet, just the visitors taking photos, beaching, or sampling the Boardwalk Grub, on one beautiful coastal beach town. But, during the evenings when concerts are taking place, it is crowded, noisy, and you might be able to kick your shoes and start dancing. Friday, 8/14 – Lower Case Blues – Genre? 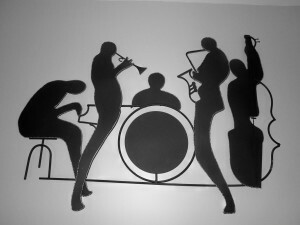 Hard Rockin Blues to New Orleans Funk with a mix of Jazz & Soul. Saturday, 8/15 – Vinyl Shockley – Genre? This band reflects the influences that Rhythm & Blues & Hillbilly Music have. 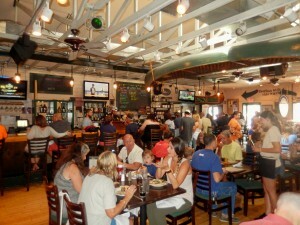 There are so many place to eat in Rehoboth Beach, but our choice for lunch today was Dogfish Head located at 320 Rehoboth Avenue. Tel. 302-226-2739. It was so crowded that we had to wait for half hour. You might think that that visitors come for just the beer. Maybe so, but their food is constantly good, as well. 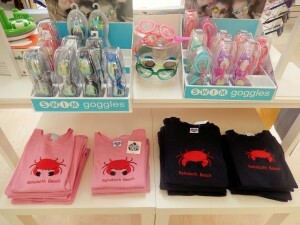 Check the website at http://www.dogfish.com. 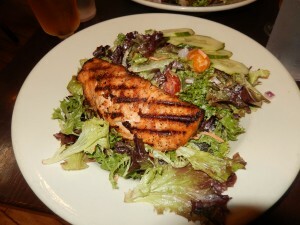 Two orders of the Pub Salad…Seasonal lettuces, grape tomato, carrot, cukes, red onion and Midas Touch vinaigrette, topped with woodgrilled salmon. So delicious, especially when you want something light. 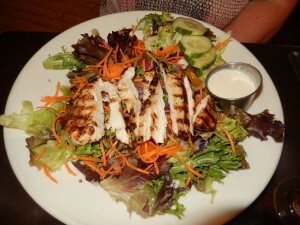 Jody ordered the same salad but topped it with woodgrilled chicken. 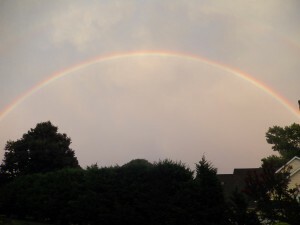 This evening, a rainbow over Rehoboth Beach!